I got my pretty curtains!!! Well, at least for one window, the other window in my living room still has ugly blinds. Ughh!!! I hate blinds, they are u-g-l-y. Anywho, I am buying my curtains one panel at a time. They are from Target, and I have had them picked out for months and months, but I haven't been able to afford to shop lately, at least not on pretty things for my home. I can't wait to have the other window done, it makes my living room look so much more cozy, and decorated. Seriously, by the time it is all just the way I want it, our lease will be up and we will be moving to the Reno Sparks area. Oh well. I also took a picture of my favorite chair, my first purchase and piece of furniture from when we moved into this house, I got it from Pier One Imports. And my growing collection of 2 pillows, I say growing because I just got the blue silky one that matches my curtains 2 days ago, when I bought the curtains. And I picked out like 5 more I am adding, but at $15 to $25 a pillow, I am "slowly" increasing my collection. I have curtains very similar to that in a chocolate brown! I love them - they are in my bedroon! 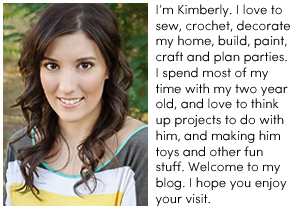 And Yes, I'm totally a slacker - I've got get on that fam blog!! !